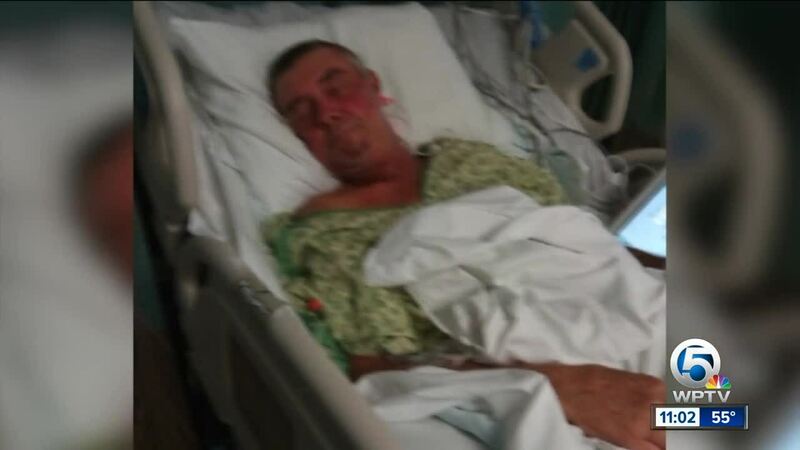 A Vero Beach man remains in the ICU after a violent attack outside a gas station. VERO BEACH, Fla. — A Vero Beach man remains in the intensive care unit after a violent attack outside a gas station. “They blind-sided me, they jumped me, beat me up and pistol-whipped me,” said Harry Swift, as he struggled to speak from his hospital bed at Lawnwood Regional Medical Center in Fort Pierce. Swift, 50, was brutally beaten behind the BP gas station off 43rd Avenue in Vero Beach late Thursday night. Swift has now undergone five surgeries after he says he also broke his hip and has two cracked ribs. Swift says he parked behind the BP in a different shopping center to make it easier to leave and head home. He was walking out of the gas station after buying a pack of cigarettes when he says he was jumped from behind and pistol-whipped. The Indian River County Sheriff’s Office says the two suspects demanded his keys, stole his truck, and Swift was run over as they sped away. “It appears at this time the person’s of interest, in this case, are definitely juveniles, and we believe they were taking the vehicle for a joy ride,” said Maj. Eric Flowers, Indian River County Sheriff’s Office, who added it appears the suspects did not know the victim. Swift now has a long road to recovery, and his wife is praying for justice. “I want to see the book thrown at the people that did this, and I hope the cops do find them,” said Cheyenne Swift. According to Maj. Flowers, Swift’s truck was found three miles away by Vero Beach police, who assisted in the search. Flowers also said one suspect is believed to be 15-years-old, and the teens could possibly be connected to other robberies in the area.